ACI5000 5000 PSI chem. inj. assy. ACI6000 6000 PSI chem. inj. assy. 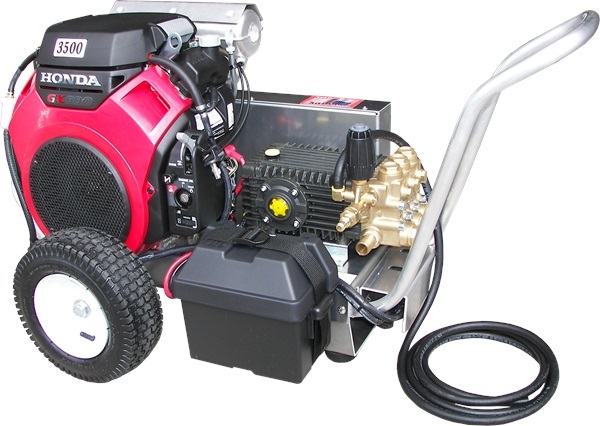 NOTE: Electric start is standard on 18 HP‐24 HP V‐Twin engine models and includes battery, marine battery box, and remote six gallon poly fuel tank. No chemical injection on 5 & 6000 PSI units. NOTE: 8 GPM units set up for tank feed. 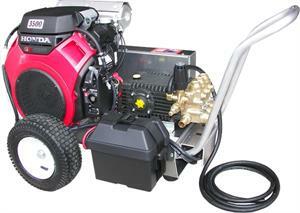 All units are completely factory assembled, tested in the USA, and delivered ready to operate.